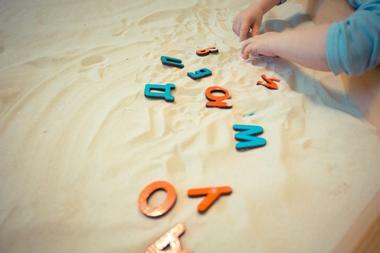 Traveling with kids is a challenge, especially when they are still small. 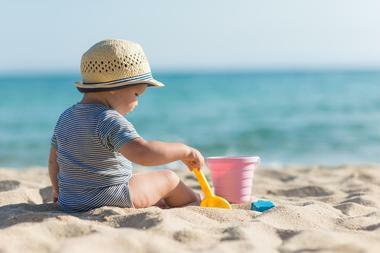 Finding a beach that is fun while at the same time safe for the little ones requires some careful planning. The best beaches have to be sandy, soft, clean, slope gently into the water, watched by a lifeguard, with nearby restrooms and showers, and be easily accessible from the parking lot or public transport. Restaurants, cafes, and beach shacks offering snacks or drinks are also very important. Fortunately, the country is full of magnificent beaches where the little ones will have a great time and their parents will not be too stressed watching them and keeping them safe. Seaside is one of several beautiful, colorful Walton neighborhoods along the coast. The beach is sparkling white, with powder-fine sand, not very wide, and separated from the neighborhood houses by grassy dunes. Kids love running along the beach or splashing in the shallow water, making sand castles, or looking for colorful shells. The neighborhood is wonderful to explore, with funky trailers that sell hot dogs, shaved ice, or juices as well as a local market and charming green parks. Several restaurants are located on the waterfront and offer fantastic views. The town is very relaxed and most people go around on bike or on foot. Considered one of the most beautiful beaches in the world, Siesta Beach on the Florida's Siesta Key is an 8-mile long paradise for visitors big and small. The huge expanse of sparkling white quartz sand stretches for miles and is cool underfoot even on the hottest days, firing up the imagination and inspiring kids to make some impressive sand castles. The turquoise water is fairly shallow and warm and there are very seldom any waves, making the beach perfect for the kids. There are lifeguards on duty as well as plenty of showers and restrooms. The charming little town has plenty of nice restaurants offering famous grouper sandwiches and cold drinks. 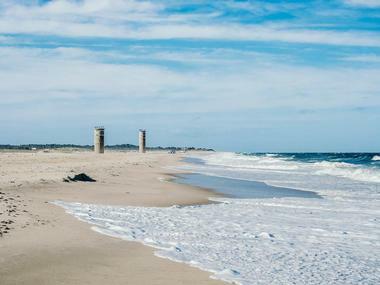 Like all North Carolina's Outer Banks beaches, Corolla Beach is a spectacular expanse of white sand that stretches for miles along the Atlantic coast. It is the place where families with kids can spread their blankets and relax in the sun while the kids are playing ball, making sand castles, or splashing in the shallows. Watch out for red flags; if they are out, no swimming is allowed. The beach is wonderfully unspoiled: There is no commercial development and the most exciting thing that happens on the beach is when the wild horses come along. 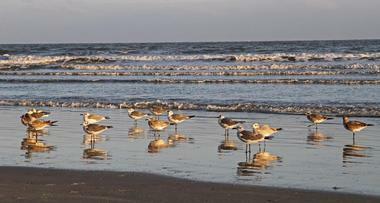 The kids can also enjoy looking for ghost crabs or flying a kite in the wind. 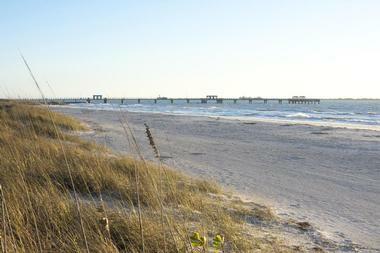 Spread out over 1,136 acres and five small interconnected islands, Fort de Soto Park is the largest park in the Pinellas County Park System. Its beaches are among the most beautiful in the country, but the park offers much more to visitors, especially families. 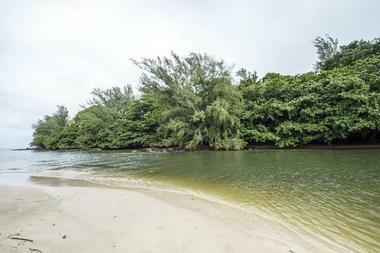 The five keys provide a home to a rich diversity of beach plants and other native vegetation, including dense mangroves, healthy wetlands, charming palm hammocks, and hardwood forests. There are 328 species of birds that can be seen here, and endangered loggerhead turtles come to the keys to nest. 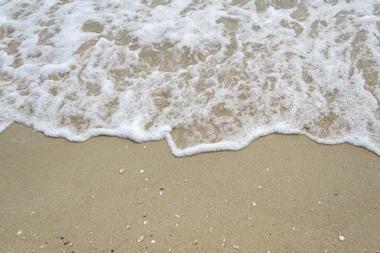 Kids can enjoy more than 7 miles of waterfront with fine white sand and calm waters for splashing. The mangroves and wetlands are best explored in kayaks, and there are 15 picnic shelters for relaxing in the shade. Kamaole is a 1.5-mile-long chain of nice sandy beaches in the town of Kihei, on the Hawaiian island of Maui, very popular with locals and tourists for its wonderful views of the Kaho'olawe, Molokini, and Lana'i islands. One of the beaches, known as Kam III, is popular for boogie boarding and all are great for snorkeling. 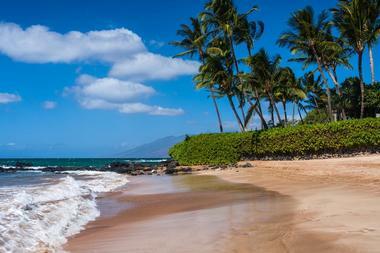 The beaches are located just off South Kihei Road and are easily accessible for families with kids. The beach drops pretty fast to large depths and the waves can get large, so swimming for small kids should be carefully supervised. Still, there is plenty of sand for them to have fun in, and just behind the beach is a shady grassy area with tables and benches, perfect for picnics and an afternoon nap. There is also a playground. Beachwalker Park in South Carolina is located on beautiful Kiawah Island, a narrow barrier island that is mostly privately owned. The only public beach is located on the north side and has 11 miles of magnificent unspoiled sandy beach, snuggled between the ocean and the Bohicket River, and visitors can enjoy views of both. 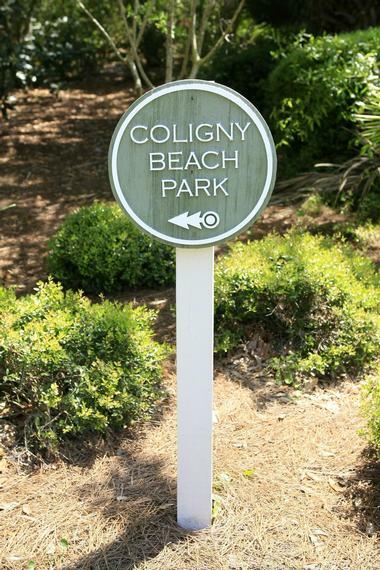 The beach is perfect for playing in the sand, cooling off in the ocean, or strolling along the wide boardwalk and enjoying the lush greenery of live oaks, palmettos, pines, and yucca plants. There are life guards on duty during the season as well as showers, dressing rooms, and nice picnic areas. There is a snack bar and drinks vendors. Located on the Long Beach Peninsula in Washington State, Long Beach is a magnificent 28-mile-long white sandy beach, a fun playground where you can just lie in the sun or join in the constant fun. 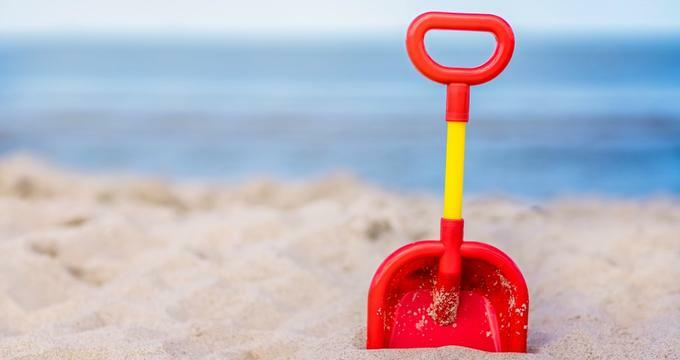 Kids can build sand castles, fly kites, ride their bikes, comb the beach for shells, dig for clams, and even ride horses. One thing this beach is not good for is swimming; it is considered dangerous even for strong swimmers, so keep an eye on the little ones. 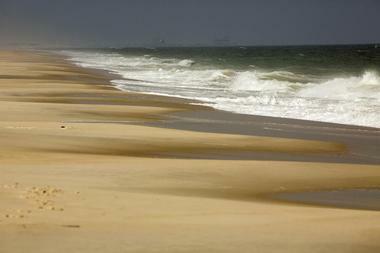 The beach is so long that if you are willing to walk for a while, you can find a spot just for yourself. There is always some barbecue going on, or you can bring a picnic or try one of the great seafood restaurants near the beach. 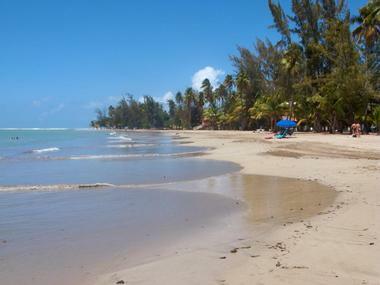 If you're bringing the kids on the visit to the El Yunque National Forest in Puerto Rico, exploring the magnificent Luquillo Beach will surely be their favorite part regardless of their age. The crescent-shaped lagoon is edged with a white sand beach, washed by blue sea on one side and lined with coconut palms on the other. 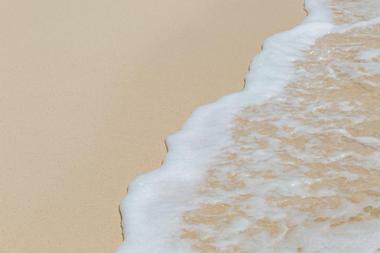 It is a heaven for running around, making sand castles, looking for the most beautiful shells, splashing in the warm, calm water, or having a nap in the shade. There is a beach kiosk that sells fresh fruit juices and local snacks. The beach has a life guard on duty. 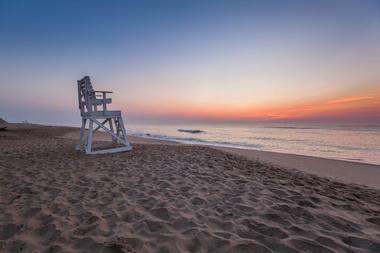 Menemsha Beach is located in the small, quaint fishing village of Menemsha in the Martha's Vineyard town of Chilmark. Before going to the beach, stroll through the town and let the kids see real fishing boats as they unload their catch before bringing the colorful fish to the local market. The beach is a bit rocky, but it faces the Vineyard Sound and not the ocean, so its surf is always gentle, perfect for the kids to splash around. The views of Elizabeth Islands from the beach are fantastic. You can also come by local bus. 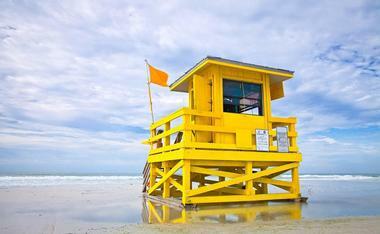 There is a lifeguard on duty during the summer season, and there are a few restrooms located near the beach. If you did not bring a picnic, there are three seafood shops that sell fresh seafood to-go. 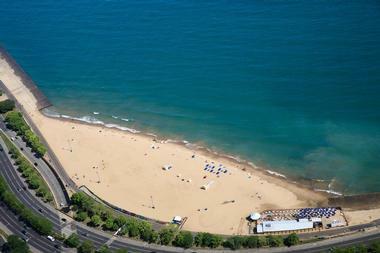 Stretching over ten blocks of Lake Michigan coastline on North Shore Drive in the heart of Chicago, Oak Street Beach is one of the most popular and most crowded city beaches. Wide and covered with fine soft sand, the beach is lined by tall palm trees that provide pleasant shade on hot summer days. The lake water is surprisingly clear, and the views of the city skyline are spectacular. Let the kids run around, throw a Frisbee, make sand castles, play in the water, or watch lovely boats gliding across the lake. There are plenty of food vendors if they get hungry or just crave an ice cream. The beach is a great place to people-watch, but kids might be more attracted by a massive mural on the wall that runs parallel to the Lakefront Trail and reminds people to keep the beach clean and not feed the birds. Of all the popular Jersey Shore towns, Ocean City is most suitable for families as it forbids the sale of alcohol, effectively keeping the teenagers away. The beach has 8 miles of lovely oceanfront with fine soft sand, with lifeguards on duty and plenty of showers and restrooms. If just hanging out on the sand, splashing in the waves, and making sand castles is not enough, kids will love Adventure Island Water Park and Mini Golf or Gillian's Wonderland Pier with all their attractions. During the summer, the beach is full of activities for the families. There is a Funtastic Tuesday, Family Nights on Thursday, Beach Walks on Wednesday and Tuesday, and Character Nights on Sunday. 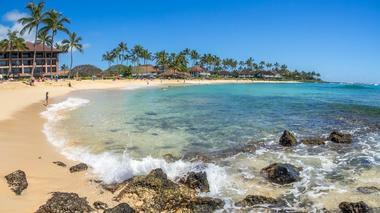 Poipu Beach is the most popular beach on the South Shore of Hawaii's Kaua'i Island. The beach is part of Poipu Beach Park and has been declared one of the country's most beautiful beaches, consisting of a chain of lovely crescents of golden sand, perfect for snorkeling, swimming, or laying in the sun. There is a natural wading pool for the little ones, and for the older ones there is surfing and boogie boarding. There is a lifeguard on duty year round. 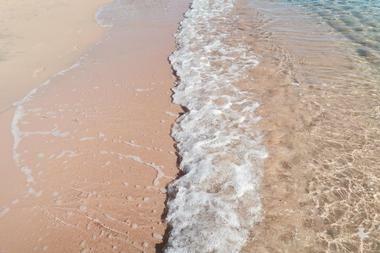 The beach is divided into two parts by a "tombola," a sandy spit famous as a good place to watch Hawaiian monk seals. It is also the place to learn to bodyboard and for kids to play as the waves are soft and the water shallow. The sandbar is protected from the waves by lava rock. The beach also has a kids' playground. 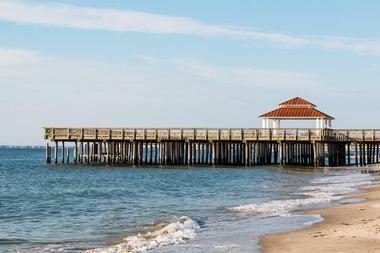 Rehoboth Beach on Delaware's Atlantic coast is considered one of the best family beach towns on the East Coast. A mile-long boardwalk is lined on one side with a spectacular wide sandy beach and on the other side with all sorts of shops, restaurants, cafes, and ice cream parlors. The beach has lifeguards on duty and is perfect for swimming, playing in the sand, running around, throwing a Frisbee, or playing volleyball. If the kids ever get bored, there is also a great amusement park called Funland with all sorts of rides. The kids also love riding their bikes or rollerblades along the boardwalk, stopping occasionally when they pass an ice cream shop. The kids will love Black Pot Beach in the park of the same name on the Hawaiian island of Kauai even before they arrive at its large expanse of fine sand because of the story attached to its name. It comes from the Hawaiian tradition of cooking fish for celebrations in a large black pot right on the beach. The pot is no longer there, but local families, who love the beach, like to bring picnics, pitch tents, and set up barbecues, creating a wonderfully festive atmosphere. The beach is wide and clean, and it slopes gently to the sea, making it perfect for the kids who love to splash in the warm water. There is a nice grassy area a bit away from the water where a number of picnic tables and benches can be used for a meal. The area is nicely shaded by large trees. Short Sands Beach near the Maine's village of York Beach is not one of the large, more popular beaches, but it is family-friendly, clean, and lovely. 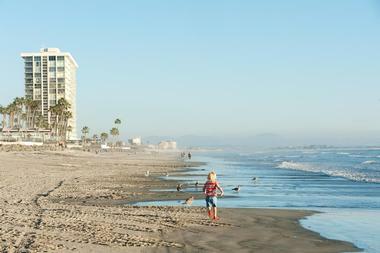 The expanse of fine sand is perfect for long walks, or runs when it comes to kids. There are showers and restrooms as well as a nice children's playground. Lifeguards are on duty during the summer season. There is not much shade, so bring hats or an umbrella. There are a few basketball courts for the larger kids, and the boardwalk has benches to sit on and take in the view. Dogs are allowed on the beach, but check the exact times. Since the beach is close to the village, access to food and ice cream is just around the corner. If the kids get bored, take them to see the famous Nubble Lighthouse. 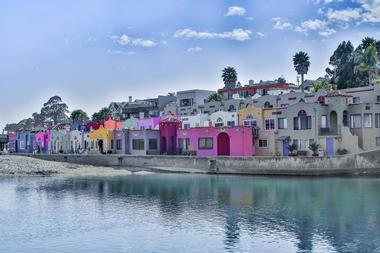 Capitola City Beach is a popular urban beach on Monterey Bay in Capitola, California. Its fine white sand attracts people young and old, and on sunny days or holidays it can get a bit packed. The beach is south facing and protected, making it warm and calm, perfect for the little ones, who enjoy running through the sand or splashing in the water. 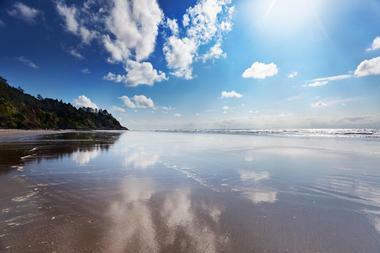 The most popular part of the beach is Soquel Cove, which is protected from the west. Just behind the beach is a small lagoon created by Soquel Creek, which is often full of all kinds of birds, while the creek is lined with colorful homes that look like cakes in a pastry shop. Lifeguards are on duty during the season. In the evenings, there are outdoor movies on the beach, live music concerts, and art shows. 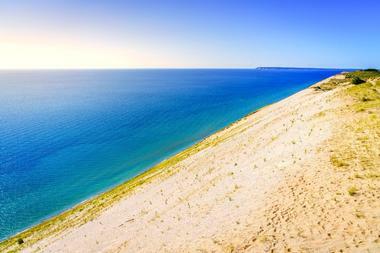 Sleeping Bear Dunes National Lakeshore is a spectacular world of miles of fine sandy beach, massive 450-foot-tall bluffs above Lake Michigan, dense forests, clear, deep inland lakes, and a plethora of plants and animals. There is plenty to do in this unique park for all ages. Climbing the dunes is fun as you are slipping and sliding up and down the steep sandy sides, while swimming at one of several nice sandy beaches is a way to cool off after the effort. There are 65 miles of lakeshore to explore. Kayaking on Lake Michigan or one of the inland lakes offers unique perspective of the huge dunes, while hiking through the maple/beech forest provides some wonderful views over Lake Michigan. The Sleeping Bear Heritage Trail offers more than 4 miles of paved trail. There are hundreds of birds everywhere and there is plenty of opportunity to spot some of the more elusive wildlife. 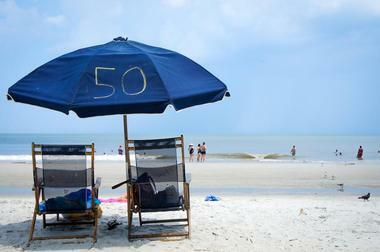 South Beach is the most popular beach on Georgia's Tybee Island. It stretches along the island's restaurant and shopping district and is surrounded by bars, hotels, cafes, and stores. The Marine Science Center and the Tybee Pavilion are located on the oceanfront. The beautiful, wide sandy beach gets very crowded during the summer, with families sunbathing, playing beach games, swimming in the clear blue waters, and playing all sorts of watersports. There is a lifeguard on duty during the season. While Tybee Island's northern beaches are popular for hiking trails and wildlife, South Beach attracts families because of its proximity to shops and restaurants. St. George Island is a 28-mile-long barrier island off the Gulf Coast of North Florida, one of the very few inhabited yet unspoiled Florida islands. Serene, peaceful, and pet-friendly, this vacation paradise has miles of spectacular uncrowded beaches perfect for laying in the sun, beachcombing, fishing, or splashing in the shallows. The island's pristine marshes are great for exploring and looking for elusive wildlife. All along the beach there are quaint beach cottages available to rent for a fun, rustic vacation, and there are wonderful shady nature trails on the island for when the kids get tired of sand and surf. 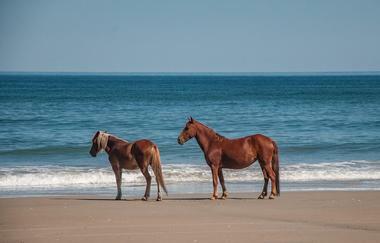 Located just off the coast of Virginia and Maryland, Assateague Island National Seashore is a beautiful protected area that occupies most of a long barrier island on the Atlantic Ocean. This fascinating park is famous for its long sandy beaches where kids can run and play in safety or watch wild ponies freely roaming the dunes. When the children have had enough of splashing in the surf, walking through the marshlands and shady pine forests is a pure pleasure and an opportunity to see many seabirds and bald eagles. Another fun thing to do is visiting a working 19th century lighthouse located near Tom's Cove. 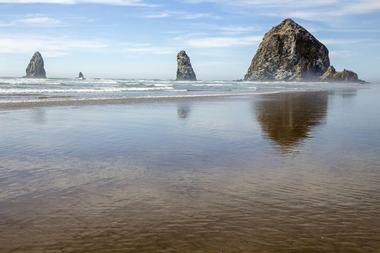 With 4 miles of fine white sandy beach sprawled between rocky Chapman Point in the north and Silver Point in the south and with the magnificent 235-foot Haystack Rock just off the shore, Cannon Beach is incredibly beautiful. In spite of its popularity, this lovely beach near the town of Cannon Beach, Oregon, is surprisingly uncrowded and you can let the kids run along the beach and through the shallow surf in total safety. Something that they will find far more interesting is located around massive Haystack Rock during low tide, where a whole world of sea life gets left in the small and tidepools, including colorful sea stars, delicate anemones, crabs, and limpets. Also on Haystack Rock they can watch a large colony of tufted puffins, funny and colorful birds that look a bit like parrots, with bright yellow beaks.